Located in the heart of the Strip making it the center of the Las Vegas excitement. The Monte Carlo Hotel Las Vegas with contemporary decor stands out for its Mediterranean feel. The hotel, named to invoke the Place du Casino in Monte Carlo, features chandelier domes, marble floors, neoclassical arches, ornate fountains, and statues. There is a wave pools and lazy rivers, crisp cocktails and private cabanas at Monte Carlo perfect for tropical retreat. The Blvd Plaza located in front of the resort is the ultimate gathering spot and ideal setting to relax, re-energize and socialize. It features a variety of unique culinary venues and a casual, lively environment. The resort is neighbor to the all-new park, outdoor destination for dining and entertainment and the state-of-the-art T-Mobile Arena. We have not stayed at the Monte Carlo Hotel on this trip so I can't say much about the hotel service. However I thought it was worth a visit while in Vegas. Monte Carlo Hotel themed is inspired by European-style Architecture. 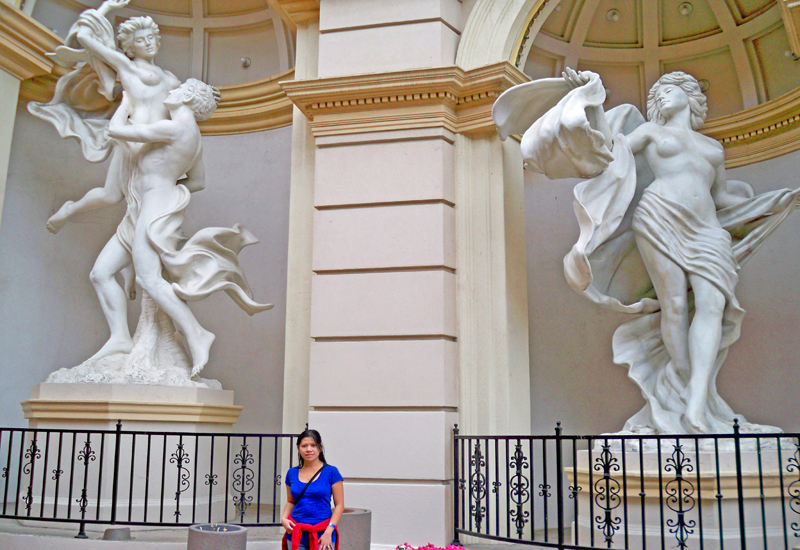 Loving this beautiful Statues at Monte Carlo - European design influences. 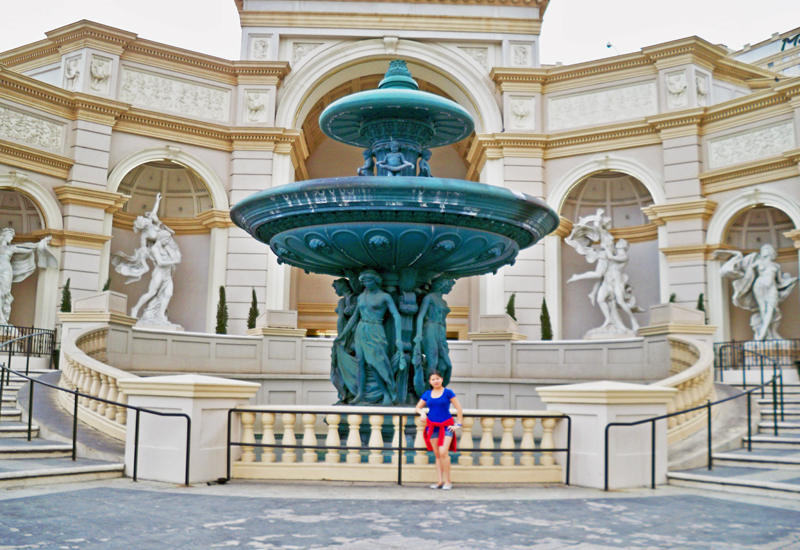 What is your favorite attractions or sight seeing while in Las Vegas? Share it with us in the comment below! The Monte Carlo is huge and over-the-top when it comes to European Decor. Of course, everything seems to be bigger in Las Vegas. I would love to visit someday and see it all up close. I've never been to Las Vegas but it is on my domestic travel bucket list. I've heard it's a fascinating place to visit. What a gorgeous hotel! I've never been to Las Vegas before, but I hope we can go one day. I don't gamble, but I'd just like to see everything and check out a show. Believe it or not I have never been to Vegas. My husband has several times and tells me how big everything is when it comes to the places to stay. Maybe one day I will get out that way. 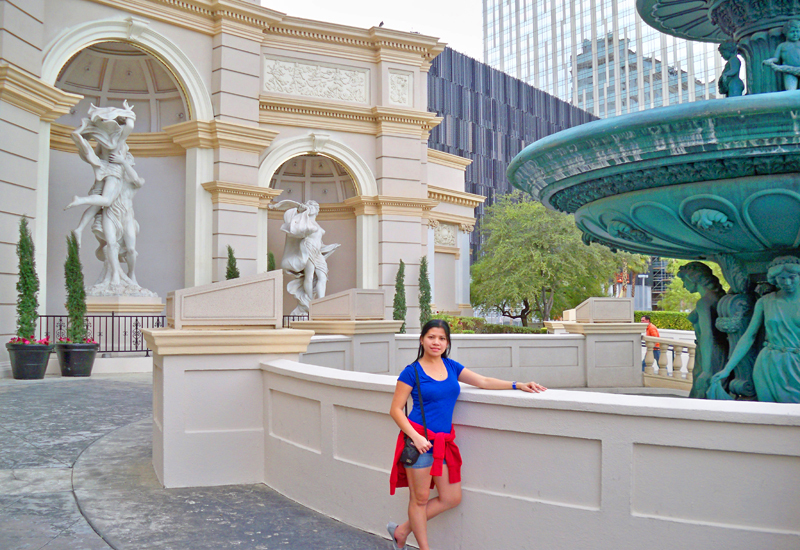 Las Vegas is one of my favorite places to visit. The water show is so pretty. There is always so much to do. Oh wow what a beautiful place to visit. 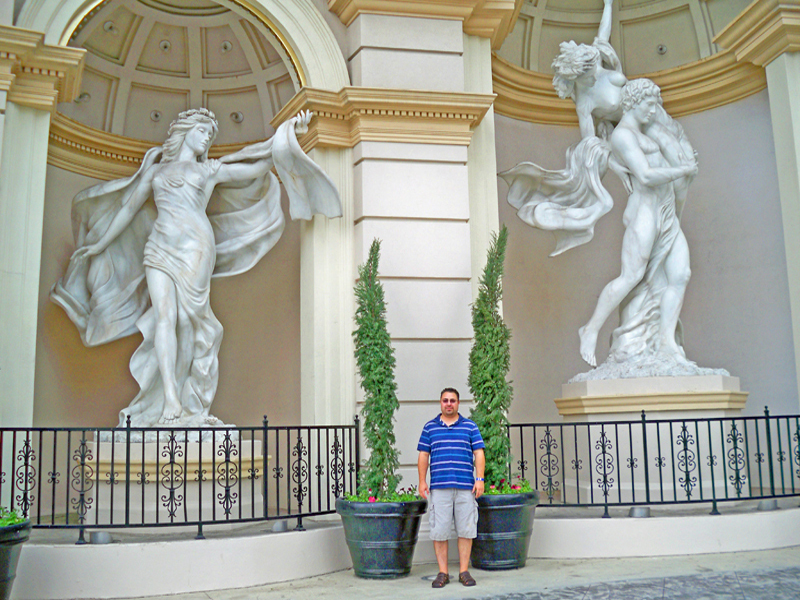 I love the architecture designs on the buildings as well as the statues. Cute photos of y'all too. The Monte Carlo Hotel and Casino looks magnificent. Yes the statues look so beautiful. 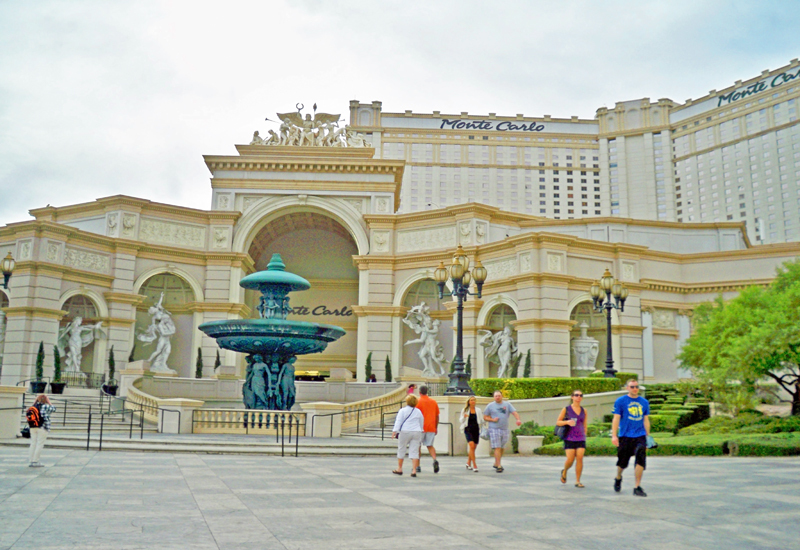 Indeed Las Vegas is synonymous with these kind of glitzy and spectacular hotels and casinos. One of my favourite used to be the Bellagio with its enchanting fountains. Las Vegas is on my bucket list for places to visit. This hotel looks amazing! Very European inspired and I have not heard of this hotel. Will have to check it out for my next trip to Vegas. I have not had the opportunity to visit Las Vegas yet. Hopefully, we can go before my health declines even more. I love the architecture of this building. I can't remember if we stayed at the Monte Carlo, or just passed through it when were in Vegas before. Regardless its a beautiful hotel with a lot of European flair. We love Vegas! We love the shoes and the restaurants owned by famous Chefs. We would love to go back and see winners of Americ’a Got Talent. Vegas is such a beautiful place to visit. I will never go there on summer though, it feels like you're in the oven all the time lol. Talk about a great place to go to when you're in Vegas. I'd love to see what the have to offer! It would be awesome to visit when you're in the area. We've never been to Vegas, but we have spoken about maybe going! I would love some more info on the area! Wow,that hotel looks awesome! I wouldn't mind visiting there when my kiddos are grown. What a beautiful hotel! I've only been to Vegas once but I hope to go back soon. This hotel seems wonderful. Out of all the times I've stayed in Las Vegas, I've never stayed there. Will have to give it a try next time we go back! I have never been to Las Vegas and I didn't notice that its actually in Vegas. I thought it's in somewhere Europe. Very nice hotel. I guess I will take note of this so I can consider it when I head to Vegas.